If you have been around here, or my YouTube Channel, for any length of time, you know that I really like planners. I seem to like them all and want to try them all. I know this isn't for everyone, but I do enjoy changing it up. 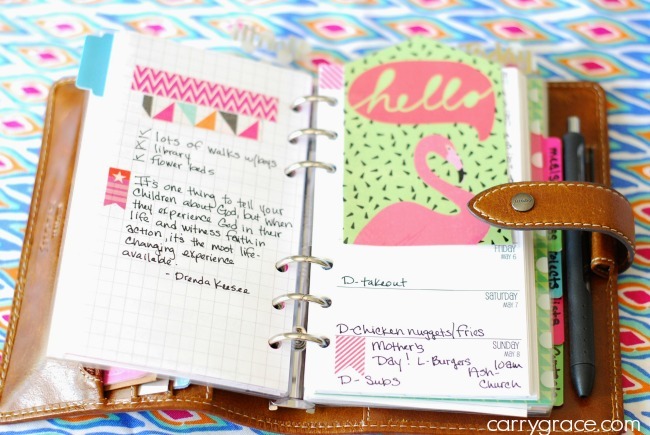 The last planner post I did was at the beginning of the year when I showed you my planner picks for 2016. I was "planning" to not do the planner shuffle this year, but it didn't last. No surprise there. Sometime soon, I will give you more details about how my planning/planners/systems have changed. 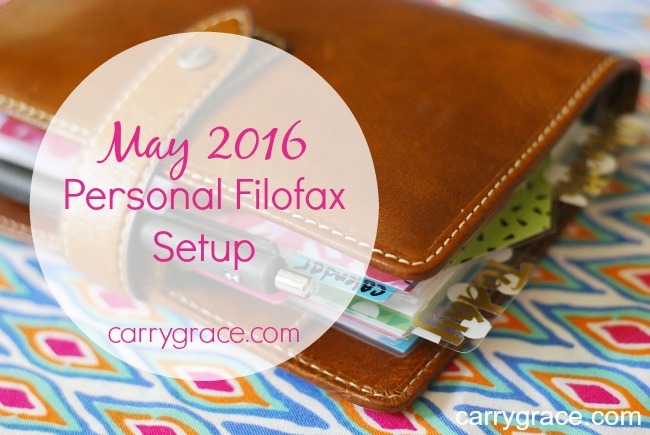 For now, I am going to tell you about the changes I have made to my personal size Filofax Malden. The first significant change is that I made new dividers that are appropriate for summer. Give me all the flamingos and watermelon. I cut them out of scrapbook paper, laminated them, hole punched them, and then added tabs. It's a little time consuming, but it's not hard. I also added and changed several of the sections. I even labeled them this time. It was time to commit. I use 2 different monthly spreads, a weekly spread, and daily sheets for those days that I need help managing my time. I don't have any in this particular setup, but I am also a fan of punching holes in the note pads from the Target Dollar Spot to use for quick lists. You can watch the video HERE for the full planner tour. Are you a planner? 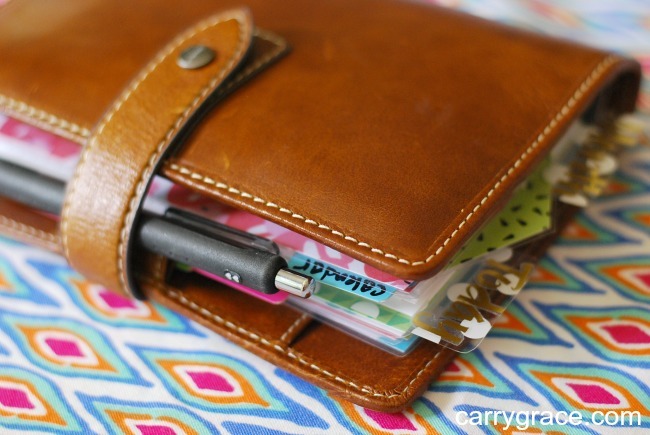 What kind of planner do you like to use? Do you change it up? Let's chat in the comments. 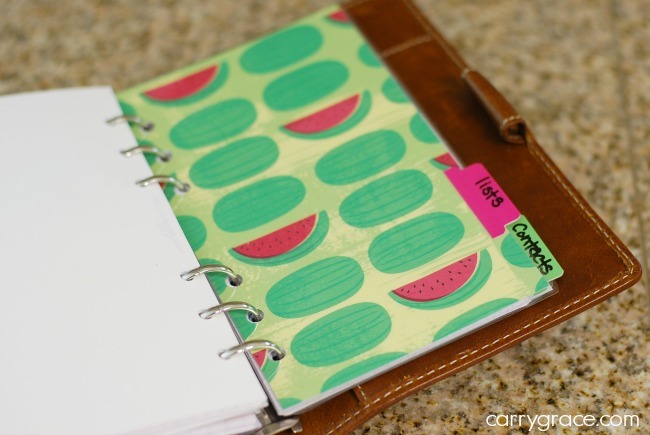 I love my Erin Condren planner, but I need to get a little more creative with it. It is just for my blog and I usually write in all pencil. Anyway, I am putting in an order soon for some goodies, stickers, etc. for it! Should be fun! 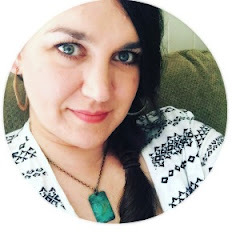 I love yours, it is so personal and I love the summer papers you added! I wish I had the patience to make my own! lol! I really like my Erin Condren, too! I have used it for a few different things over the last 2 months and finally started using is strictly for blogging. It is working really well. Can't wait to see your new goodies! 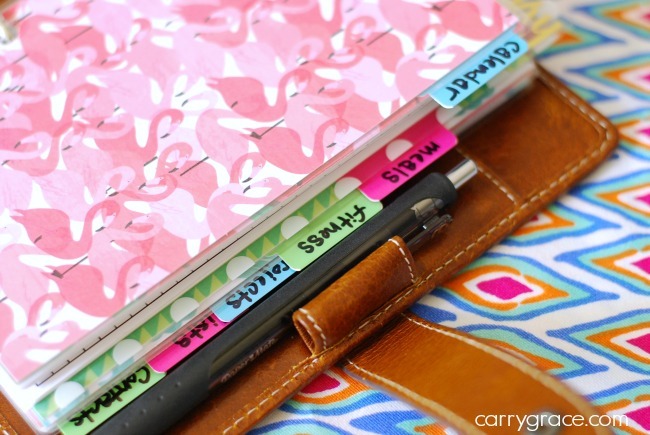 I adore seeing how other people organize their calendars and lives. I'd love if you'd share your idea at Simple Organization Ideas (you can find it at the far right of my navigation bar). Projects are featured each week and shared across social media. Thanks, Susan, I will check it out.